Wooden mosaic patterns ... from Gemss. HAVING concluded 2014 on a successful note, Floors & Decks, a UAE-based specialist in the supply and installation of different types of flooring, tiles and decks, is highly optimistic about prospects for this year, particularly with the opening of its ‘concept villa’. “Our concept villa, which is one of its kind, helps visitors get a first-hand view of our various products and their applications. Looking at the market demand, we are confident that this idea will be very successful,” says CEO A Vakil. Vakil says a lot of thought, time and hard work has gone into selecting the right products to define the overall concept of this ‘villa’. “We have a comprehensive range of indoor and outdoor products, which have been selected after going through a lot of data and history, which makes each and every product exclusive and the best,” he adds. 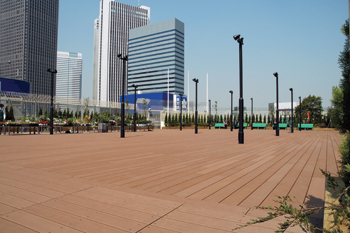 Composite products from Einwood WPCC-Japan for external decking. Floors & Decks’ product range includes hand-made design floors that incorporate timber, stone and metal from Toscano, Italy. The company has also added outdoor furniture with LED (light-emitting diode) lights from Lamalva of Spain, and wooden mosaic patterns for walls and floors from Gemss of Belgium. Additionally, Floors & Decks offers unique composite products from Einwood WPCC-Japan for external decking. Floors & Decks has also boosted its product portfolio with the addition of special design and colours of vases for plants, which can be used for both residential and commercial purposes such as in hotels, lobbies, malls and parks, in both indoor and outdoor applications. Meanwhile, given its reputation in the flooring sector, the company has also been appointed as Villeroy & Boch’s partner and distributor in the UAE and the GCC region for its luxury range of laminate flooring. Floors & Decks ... extensive portfolio. Vakil further says: “As a market leader, our vision is to offer new innovative and sustainable products and designs along with the best services. “We have been receiving very good response to our products and have been able to penetrate the market and secure some good projects within a short span of time,” he adds. Among its key achievements in 2014 was the completion of work on two restaurants located at the Four Seasons Resort, Jumeirah Beach as well as an art villa in Palm Jumeirah in Dubai, UAE. 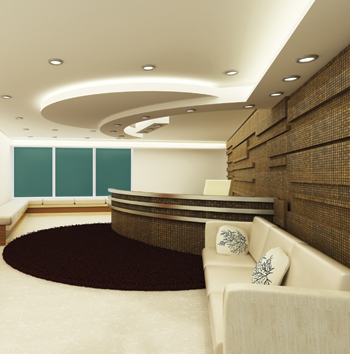 Its scope of work included supply and installation of art design timber tiles and patterned timber flooring. The company also supplied external decking to a number of other projects. 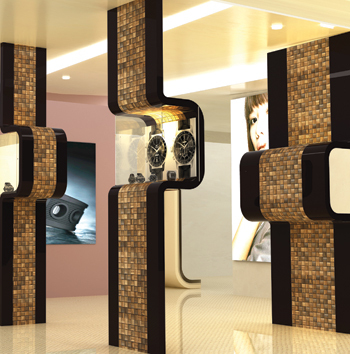 “Both restaurant projects required artistic design parquet, which needs expert execution. External decking for pontoons also required great precision,” he adds.